Published on August 8, 2016 in General T&T, NJAC, Politics and Race and Identity. 13 Comments Tags: Express, Makandal Daaga, NJAC. The Political Leader and members of the National Joint Action Committee (NJAC) along with Mrs. Liseli Daaga and family, sadly announce the passing of Chief Servant Makandal Daaga (formerly Geddes Granger), founder of NJAC and former Cultural Ambassador to CARICOM. 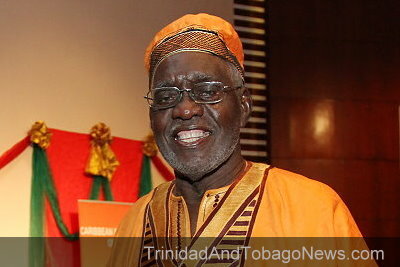 Chief Servant Makandal Daaga passed away at the Port of Spain General Hospital at 1.35pm today (Monday 8th August 2016). Bro. Daaga would have turned 81 years on Saturday.